This Citrus and Orange Blossom Hand Soap is one of the newest additions to the Ecover personal care range. The sunny new fragrance contains extract of Orange blossom essential oil, known to relax the mind and body and soothe skin. Ecover is committed to developing products that benefit from the inherent cleansing power of natural elements.They have spent over 20 years of dedicated research ensuring that their unique products benefit humans, the environment and wildlife. An added bonus is that the bottle, labels, and pump of this product are all 100% recyclable. Better still, why not refill your bottle with a 1 litre refill. The Ecover Citrus & Orange Blossom Hand Soap - 250ml product ethics are indicated below. To learn more about these product ethics and to see related products, follow the links below. 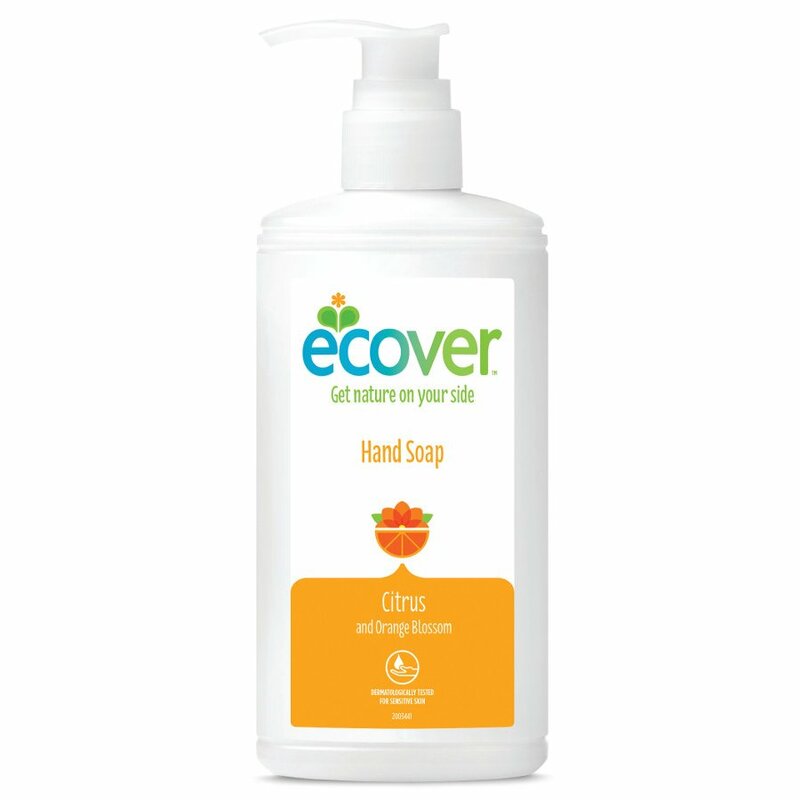 There are currently no questions to display about Ecover Citrus & Orange Blossom Hand Soap - 250ml.